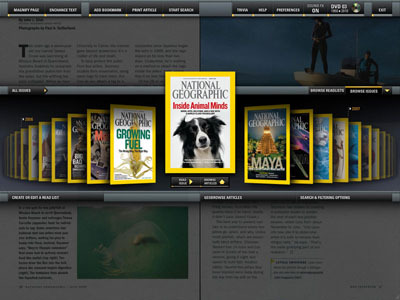 Explore 120 years of amazing discoveries, fascinating maps, and the world’s best photography with The Complete National Geographic.Â This definitive collection of every issue of National Geographic magazine, digitally reproduced in stunning high resolution, brings you the world and all that is in it. 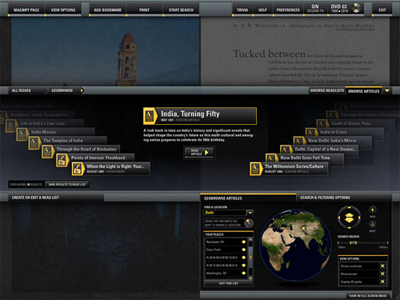 Use the advanced interface to explore a topic, search for photographs, browse the globe, or wander on your own expedition. Browse special “readlists” from National Geographic stars or personalize your archive by creating and saving your own lists of favorite articles. 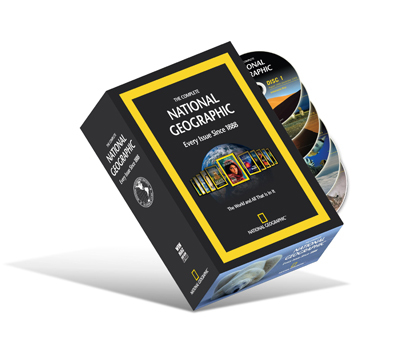 Includes a bonus DVD with tips on how to take better photographs, an exclusive behind-the-scenes look at how National Geographic Magazine is put together, and interviews with NGM photographers revealing the backstory behind their famous photographs. 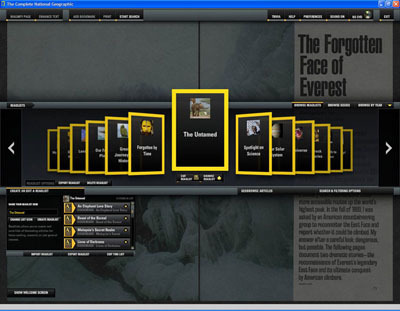 To purchase the Complete National Graphic, Click Here.